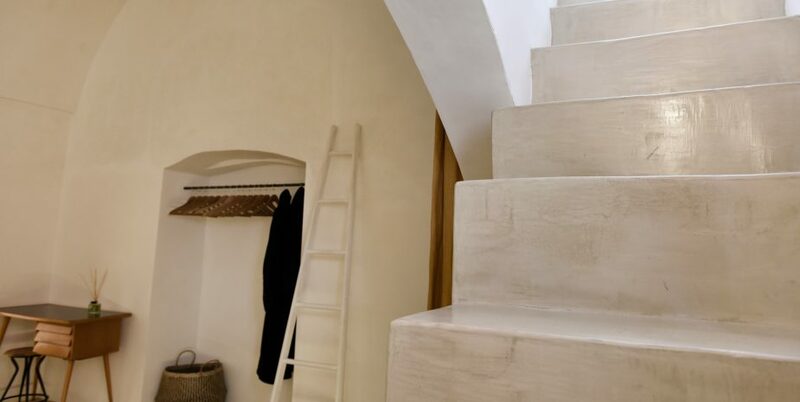 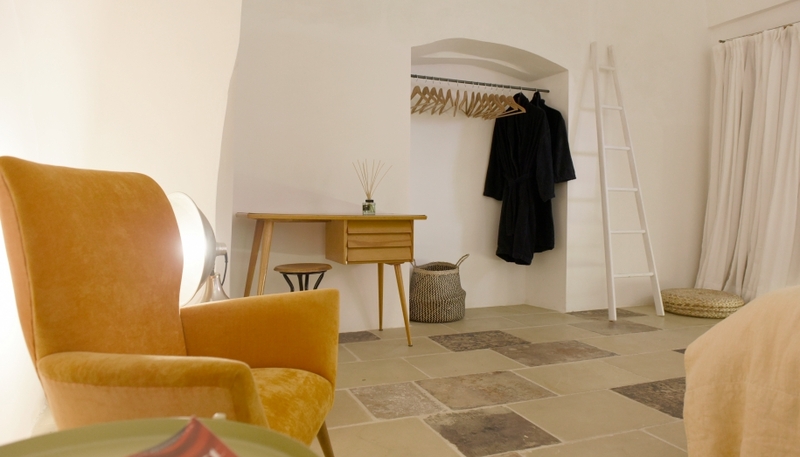 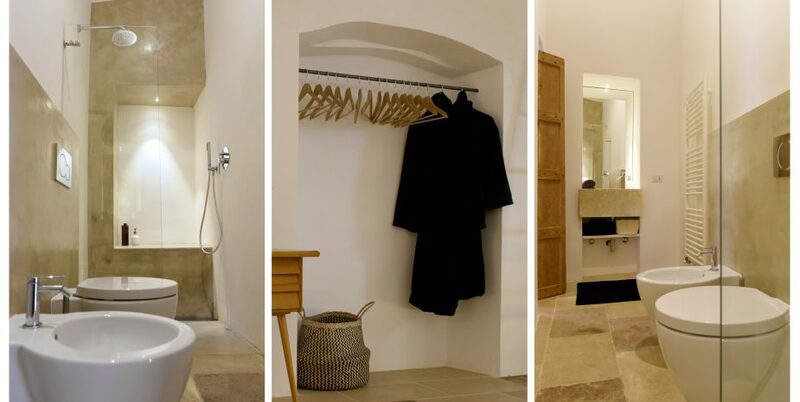 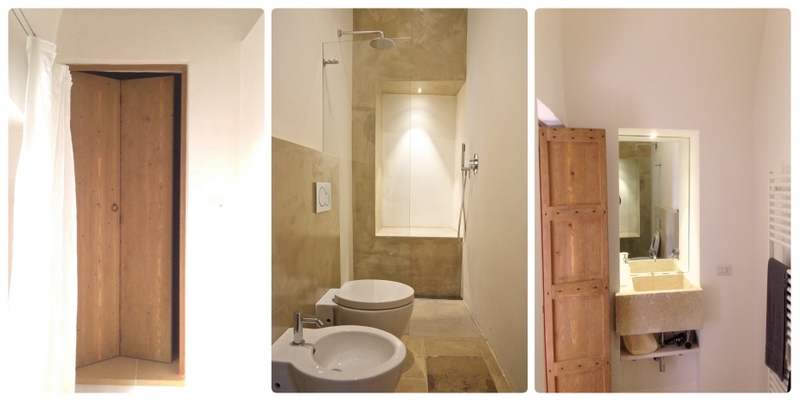 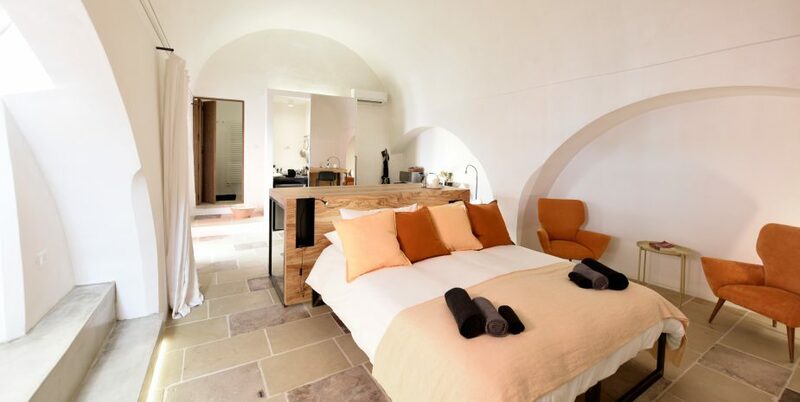 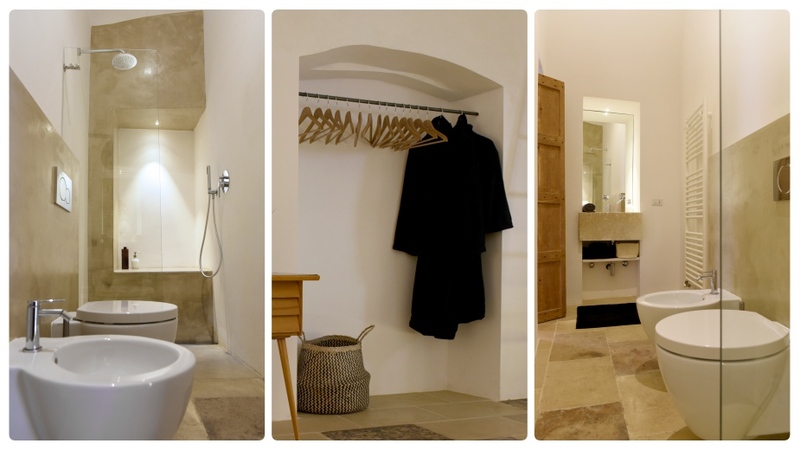 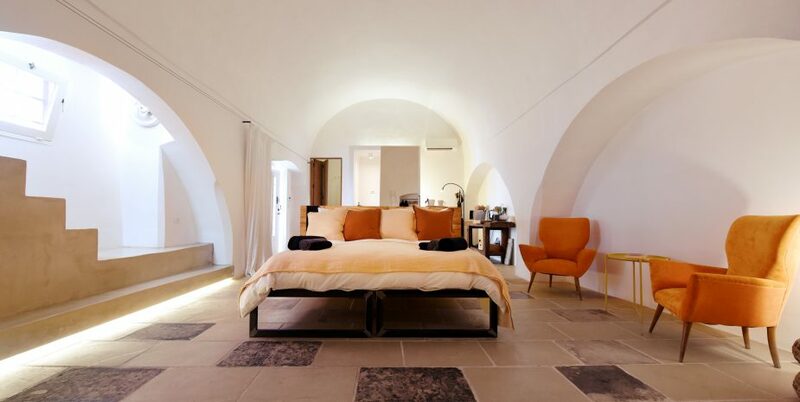 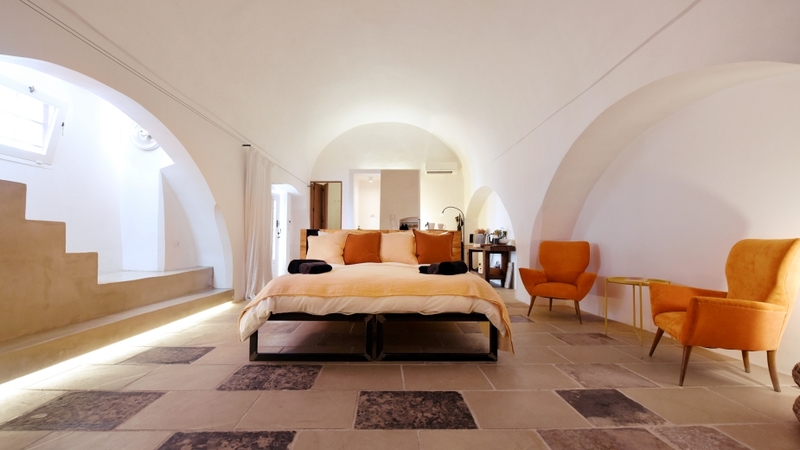 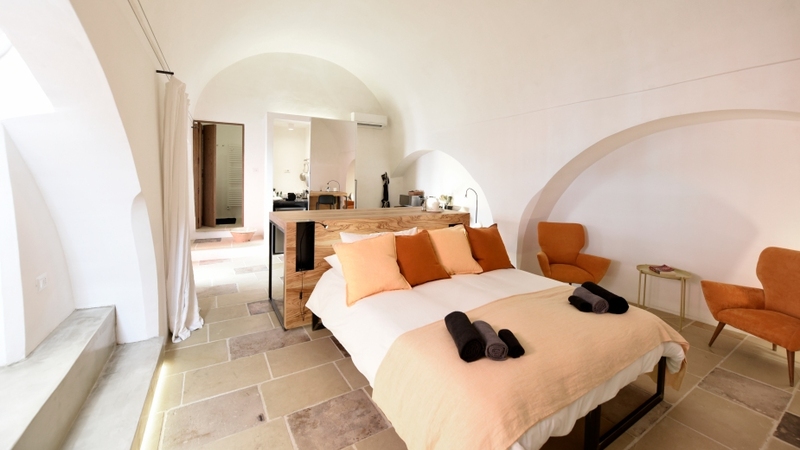 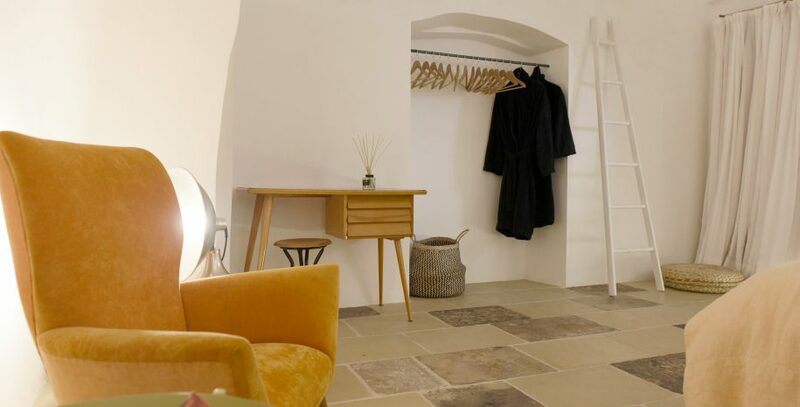 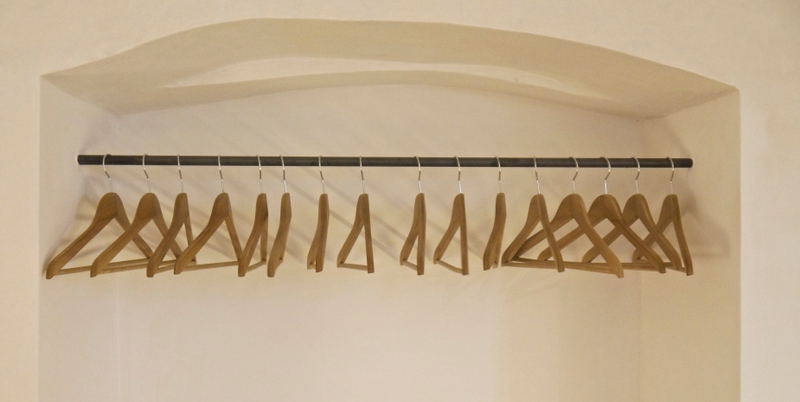 A boutique studio apartment for 2 people with vaulted bathroom, kitchenette for light cooking and large vaulted loft space that was once the stables of a vast 17th-century Convent in the baroque historic centre of Nardò. 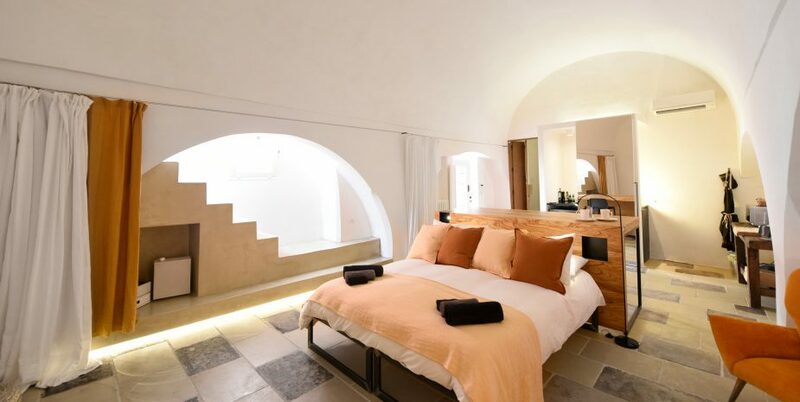 La Botte boutique studio is just 5 miles from the Ionian sea and a short hop from other historic towns, including Lecce, Galatina, Gallipoli, Maglie and Otranto. 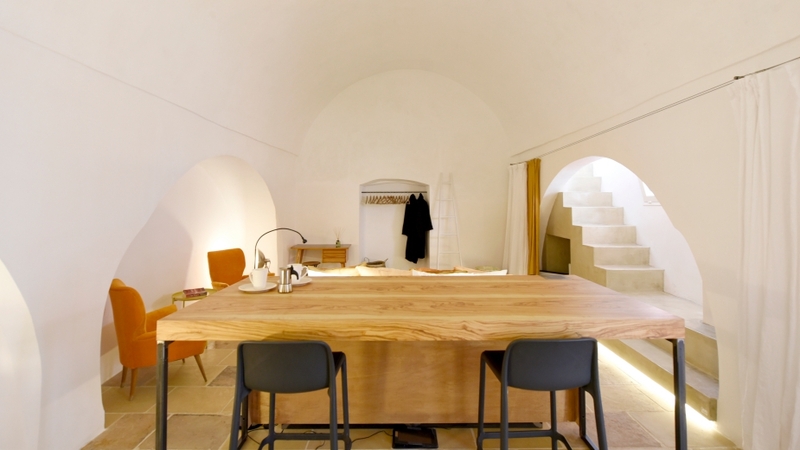 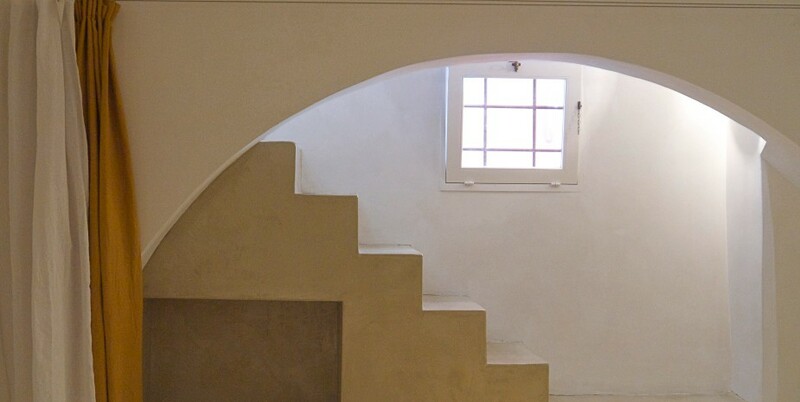 The most distinguishing features of La Botte studio are the sturdy stone ‘volta a botte’ or barrel ceiling, the high star vaulted bathroom ceiling, and the arch shaped alcoves, which are all typical old construction techniques in this part of Italy. 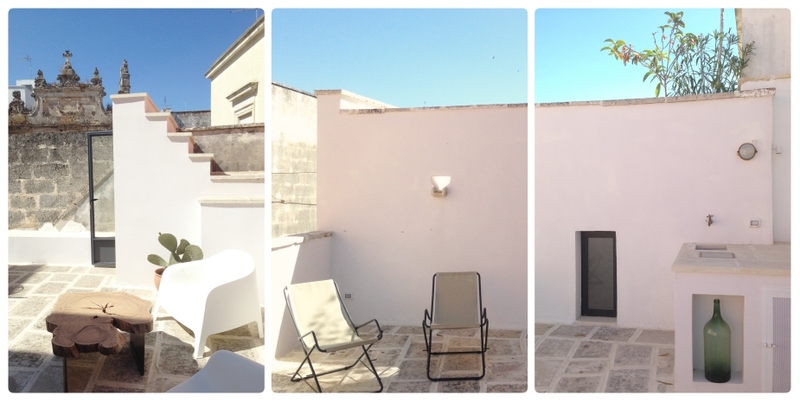 There is a large furnished private roof terrace for lounging, sunbathing, dining ‘al fresco’ or star gazing. 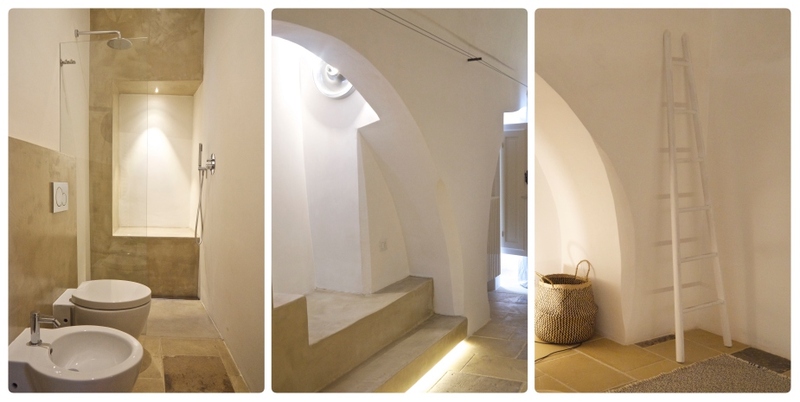 The property has been meticulously restored in 2016 without compromising the original features of the local architecture, using traditional materials to create a space with all modern comforts. 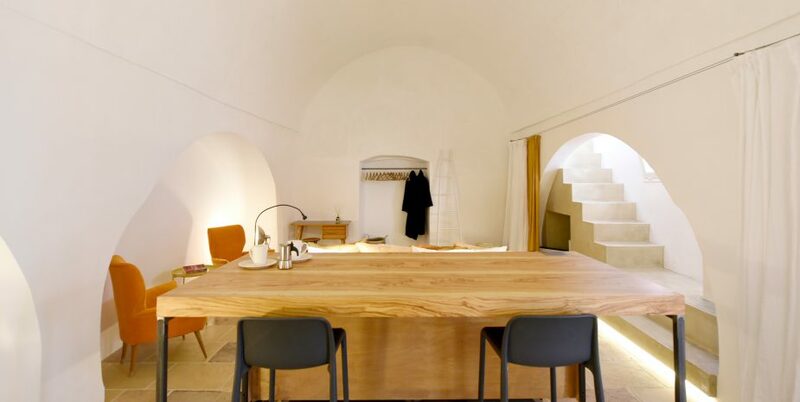 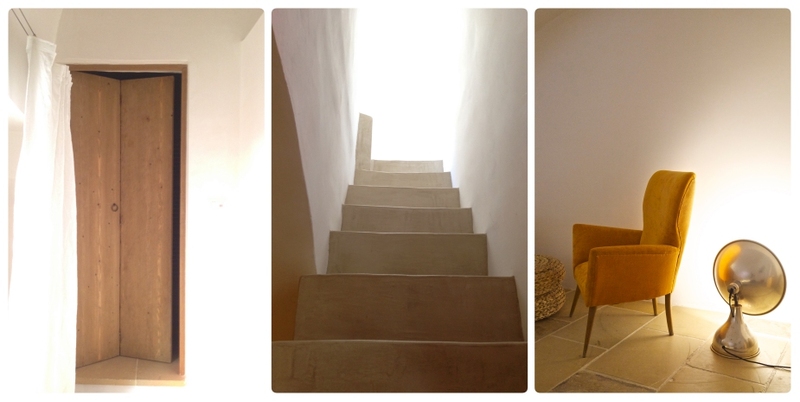 The clean and minimalist decoration and furnishing are a perfect compliment to the classic elements of the property. 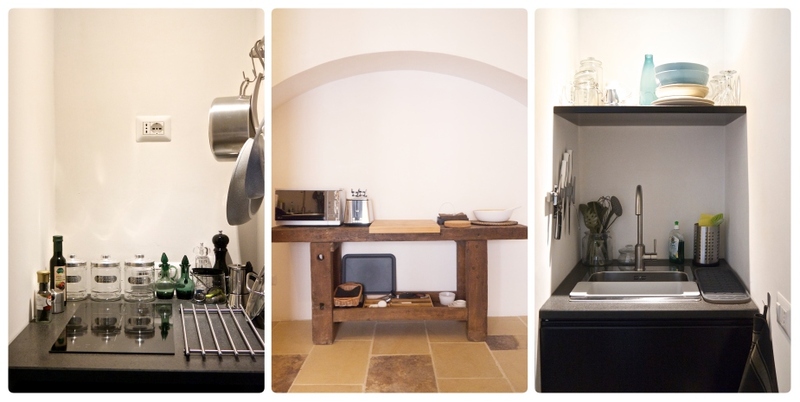 The studio has a kitchenette enabling you to prepare breakfast, snacks and light meals. 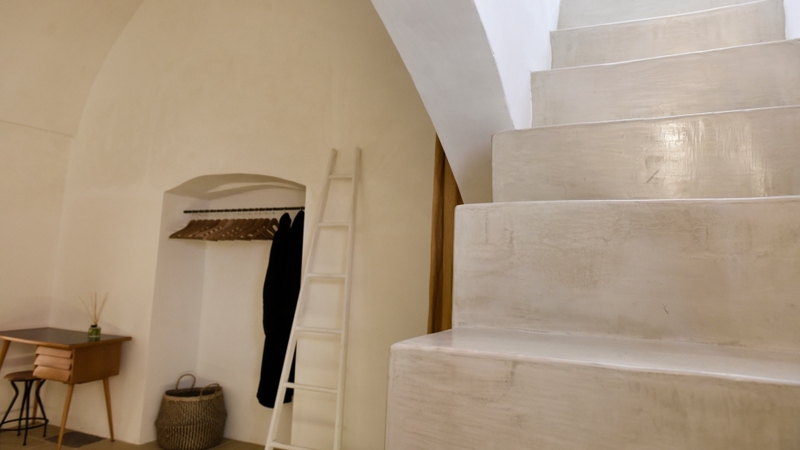 Or if you prefer to eat out, there are numerous cafes, restaurants, trattorias and pizzerias within walking distance. 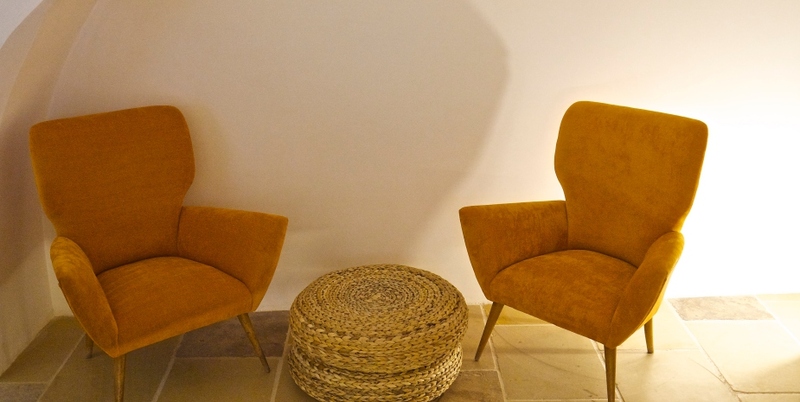 We can advise you on where to shop for groceries, pick up a tasty sandwich, find the best ice-cream and pastries or savor some of the best food you’ll ever taste. 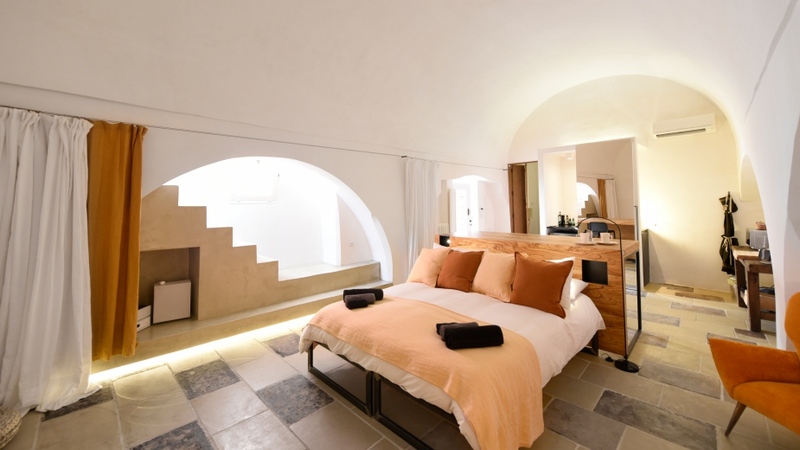 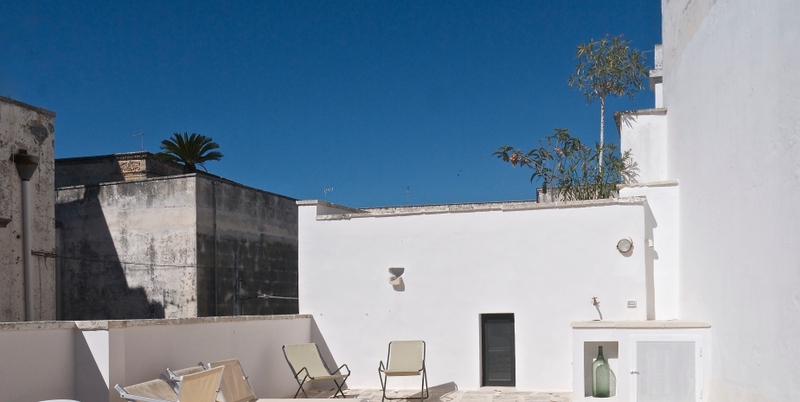 La Botte boutique studio is just 5 miles from the Ionian sea and a short car ride from other historic towns, including Lecce, Galatina, Gallipoli, Maglie and Otranto.